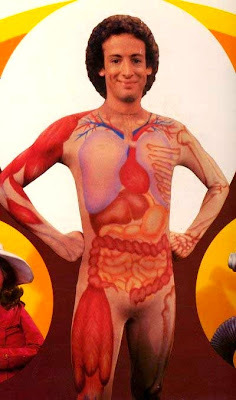 Remember Slim Goodbody (aka the super hero of health)? Well he made a special appearance Halloween night. 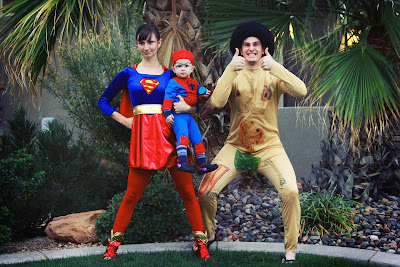 What an AWESOME superhero family! I totally remember that guy. We watched it in elementary. The fact that you remembered that and recreated it, kills me. Jess, you look totally cute. How did you end up with such a goob? Oh my! I have been waiting for this post. I'm DYING!! ha ha ha ha. Zander looks adorable. You guys crack me up! paul you rock, really that is the best thing i have seen for a long long time! I do remember that guy, not the leaf, but anyway... that is awesome. Hot costume Jess, but you should have been the girl version. 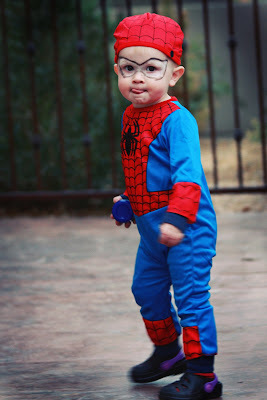 also, that is probably the cutest spiderman ever. Wow, my eyes are still watery.. Your family is super cute! I love the outfit jess... Your blog is hilarious...love it love it. I hope your doing well. You look amazing! Haha! 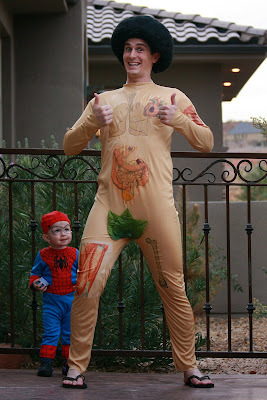 That is the funniest costume ever! Paul cracks me up! Good job on the costumes! You guys look like you rocked halloween. 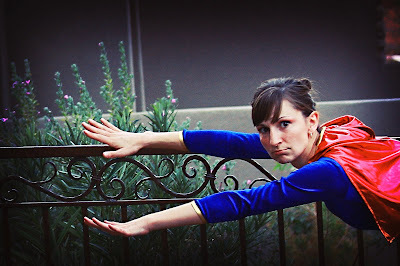 I love the costumes I give you an A+. Oh, and nice Halloween costumes!!! Hope all is well with you guys! So just some little known information about the costumes everyone. Jesse's costume was in part borrowed from our eight year old niece. Paul's costume might be hip but it is also hip...accentuating. 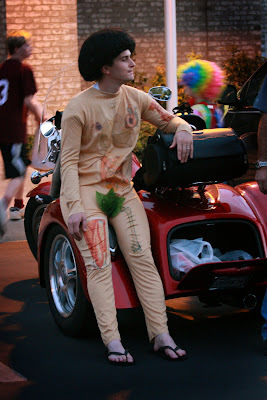 Look again at the pic from the trunk or treat. And Zander's shoes are halloween crocks from Grandma Freddie. SO FRIGGIN HILARIOUS I COULDNT STOP LAUGHING IN THE COMPUTER LAB! AGAIN! How cute! 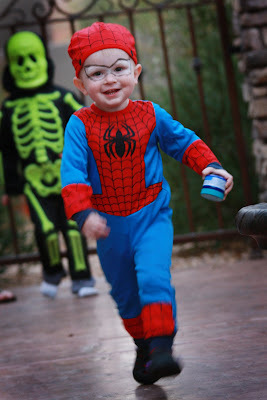 Austin had that exact same spiderman costume!! Y'all are hilarious!